Doug passed away peacefully on the 2nd of September 2010. 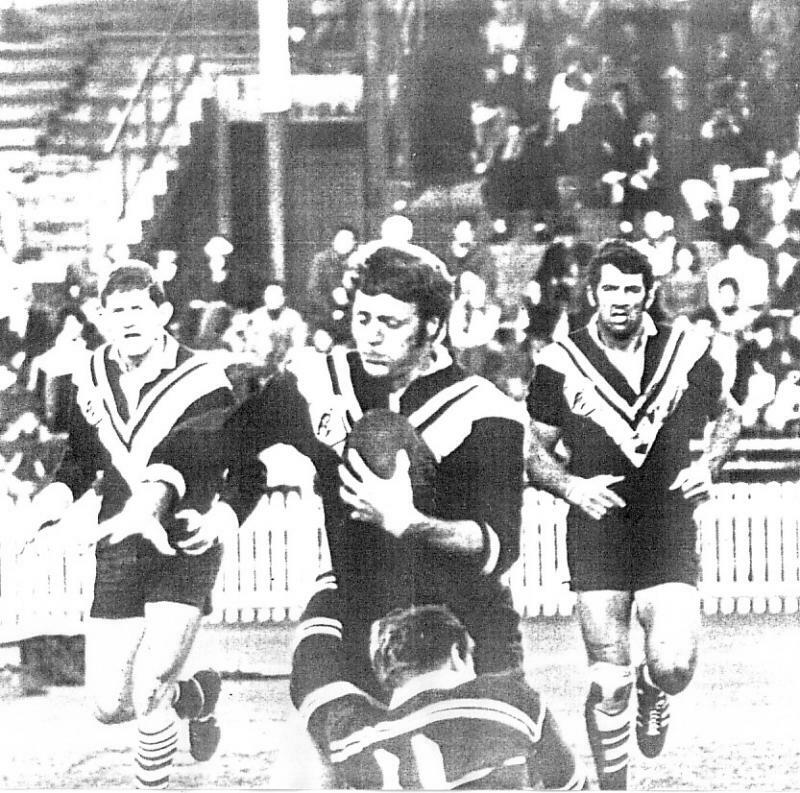 Doug played for Manly in the early 1960's and then later for Wests between 1967 and 1969. 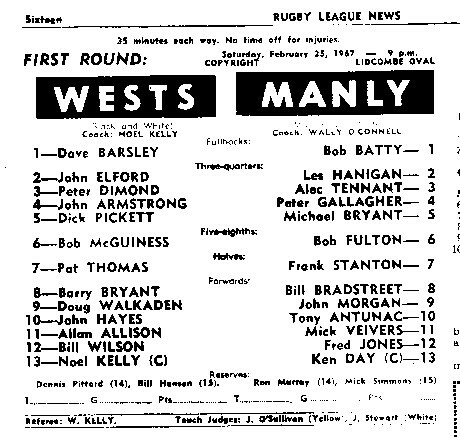 Doug's Manly player number is 148 his Wests player number is 635. 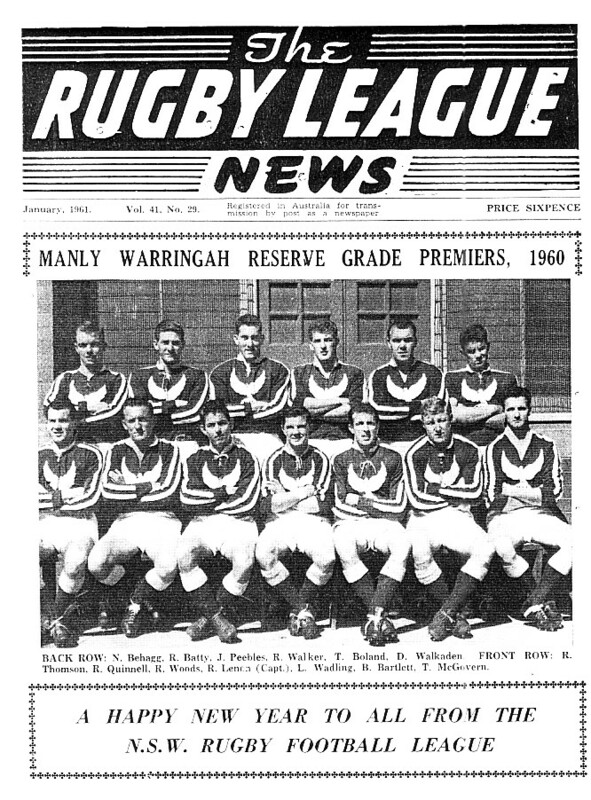 Below is the copy of the front page of the 1961 Rugby League News it shows Doug in the winning Manly Reserve Grade side from 1960. Doug far right. 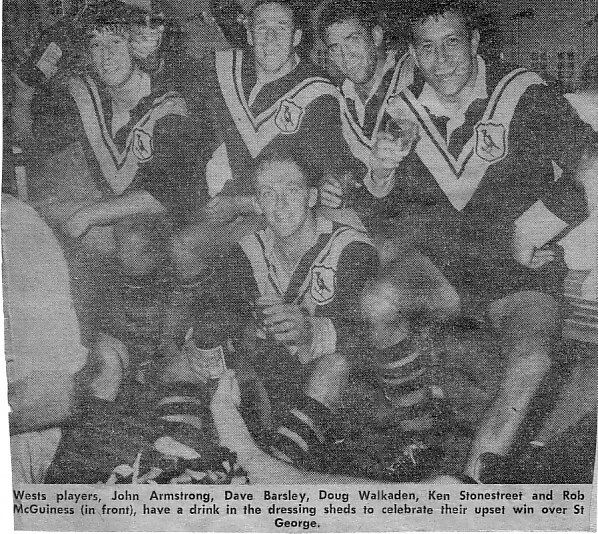 This photo courtesy of Wests Archives. Doug played 54 first grade games for Manly scoring 4 tries. 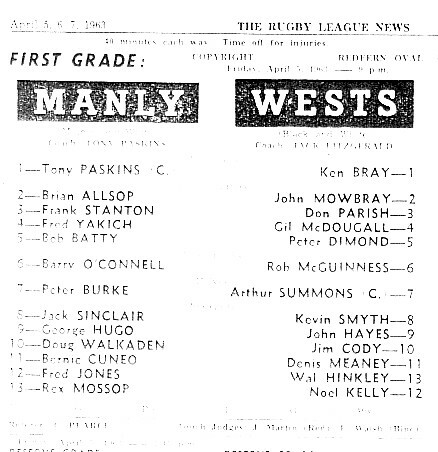 Doug's first First grade game for Manly in 1963. Wests won that day 13-6. 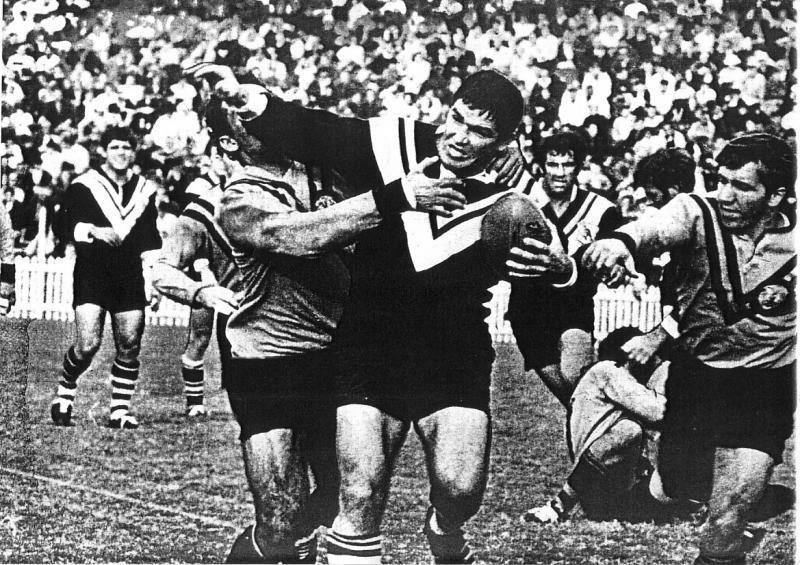 During his time with Manly Doug played for Sydney against Country in 1963. Doug played 48 first grade games with Wests scoring 4 tries and 1 field goal. Prop Doug Walkaden justly earned praise. Walkaden was in everything and his field goal, the first he had attempted was a classic. 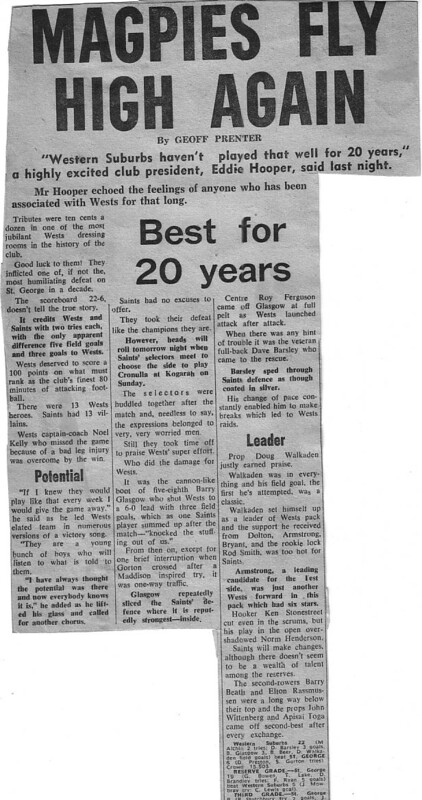 Thats Barry Bryant being tackled, Barry Glasgow far left and Nama third from left . Jim Cody in fore ground,Roy Ferguson left and Nama far right. 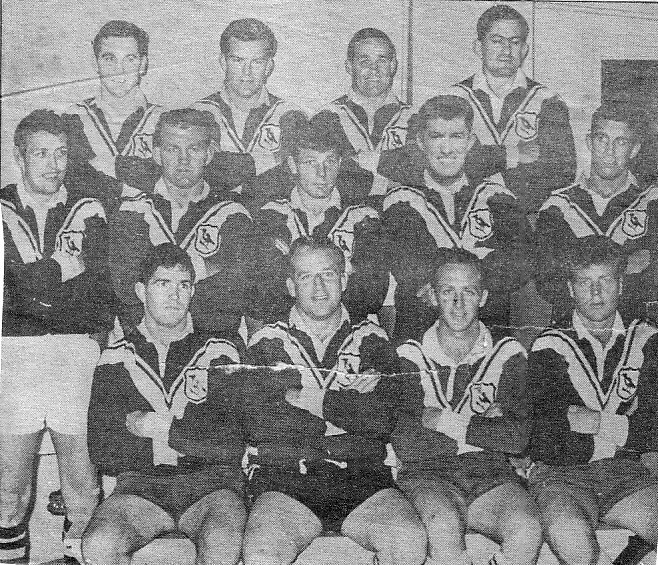 Wests team photo from 1967 . Doug is far right middle row. Doug's complete Wests record is 49 First grade games,12 Reserve grade and 2 third grade games. Overall Doug played 104 First grade games. Doug played in the second row in his debut game for the Magpies.